Not everyone can file a wrongful death lawsuit, however. Every state is slightly different, and of course, Texas has its own rules. In Texas, the surviving spouse, children, and parents of the deceased are eligible to file a wrongful death claim in Texas. Any one of these individuals may file a claim individually, or a group of them may choose to file it together. Moreover, if none of those parties brings a wrongful death claim, the executor or personal representative of the decedent’s estate may file the claim instead, unless a family member specifically requests that such a claim not be filed. Texas law also allows for adult children to file a wrongful death claim concerning the death of a parent, and an adopted child to file over an adoptive parent, as long as the adoption is complete and fully legal. Likewise, the adoptive parents may also file over the wrongful death of the adopted child. However, once the adoption is complete, that adopted child may not file a wrongful death claim for the death of a biological parent. 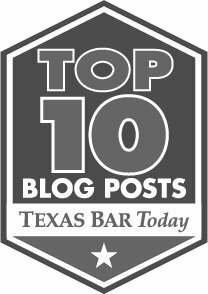 Also, Texas law does not allow surviving brothers and sisters to file a wrongful death claim for the loss of a sibling. In Texas, it’s possible to file a wrongful death claim even if criminal charges have also been filed. The process is pretty straightforward, with the eligible surviving family member or members or the executor of the estate filing the claim directly. The extent of liability is expressed as money damages and is irrespective of any criminal charges that might be filed against the negligent party in the same case, which means the damage award is completely separate from any incarceration, probation or financial penalties that result of the criminal case. Damages in a wrongful death case in Texas can compensate the surviving family members for any losses stemming from the loved one’s untimely death, including lost income and earning capacity, mental and emotional anguish, pain and suffering, loss of companionship, as well as lost inheritance, which would be an amount the decedent would have saved and passed on to surviving family members had he lived a normal lifetime. In addition, with some wrongful death claims, it may be possible to recover punitive damages, which are often called exemplary damages, if the wrongful death was caused by a willful act or an act of omission or by gross negligence. The purpose of this category of damages is less to compensate the family than to send a message and punish the negligent party. In the end, any damages awarded are divided by the court among family members based on the injury each one suffered in the wake of the loss of the loved one. If you want to know if you are eligible to file a wrongful death claim, the best way would be to contact the highly skilled wrongful death attorneys at Blizzard Law PLLC and schedule a free consultation, where we will look at the details and let you know whether you have a valid claim that’s worth pursuing.